Made in Japan and crafted with quality ceramic, this Japanese sake serving set comes with a sake jug and four matching sake cups. 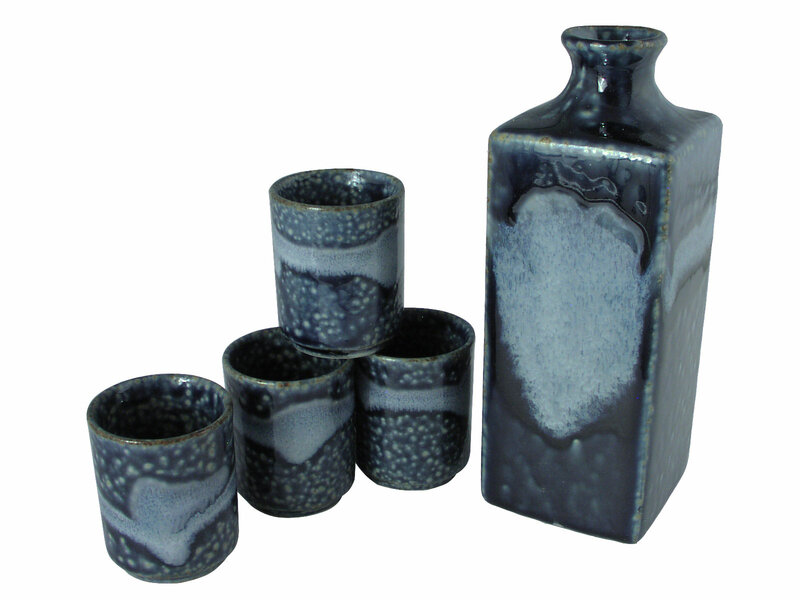 Featuring a lovely shade of dark blue with a metallic sheen finish, this Japanese sake set features a lovely and enchanting design with speckles and swirls of white. Inspired by snow-capped mountains in early evening, this Japanese sake serving set is an alluring addition for sake lovers. The sake jug in this sake set is in the unique shape of a square which is beautifully complemented by classic round sake cups. Glazed to smooth glossy finish, this Japanese sake serving set is subtle yet charming and is the perfect way to serve and enjoy your favorite sake.